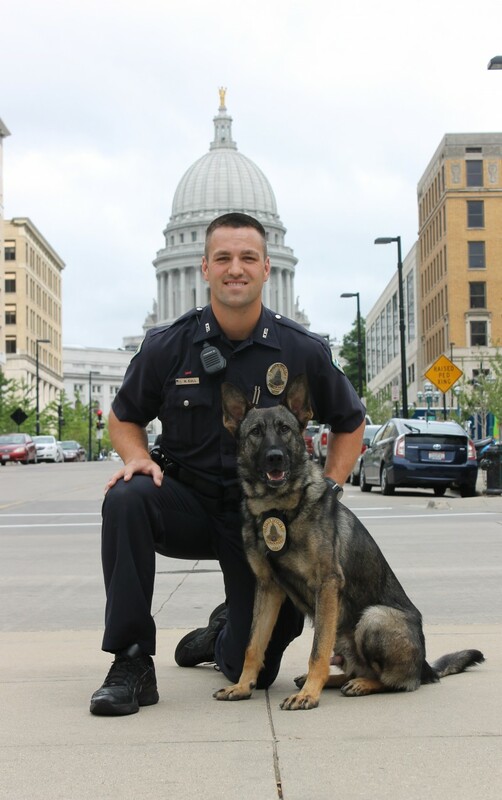 Police Officer Nick Eull – K9 Frees On Duty! The Madison Police Department has announced the assignment of this new team. After extensive training in North Carolina, Police Officer Eull and K9 Frees have assumed their duties protecting the Madison community. Capital K9s welcomes these two members of the canine unit. Funding through Capital K9s was made possible by a generous donation of Midwest Family Broadcasting.